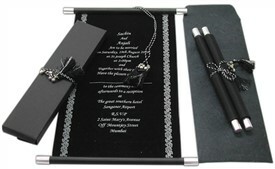 Description: Plain and charismatic! 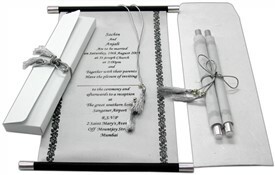 This scroll card has the supreme sensitivity of attraction and amazing grace. 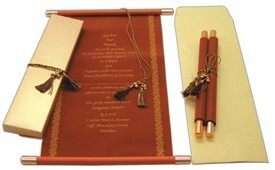 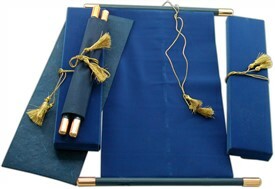 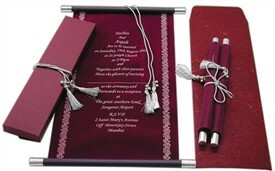 The plain scroll with the silver bars and silver zari tassel have you captivated. 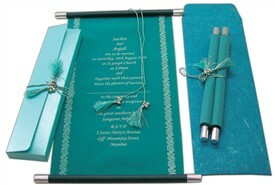 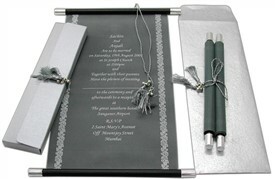 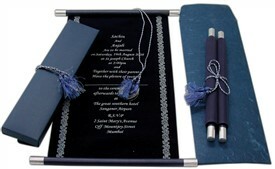 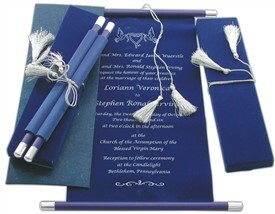 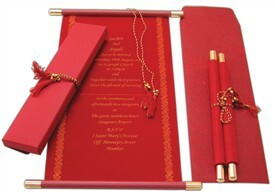 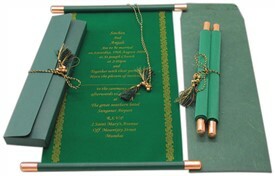 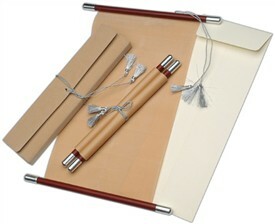 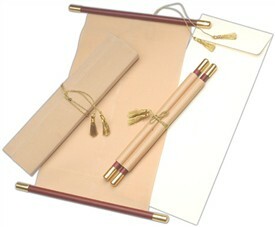 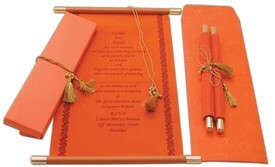 The silver colored box envelope too has a silver tassel and provides a very good contrast.